New Yorkers are increasingly embracing smoke-free housing. According to DNAinfo, as recently as 2008, only one rental listing advertised that it was in a smoke-free building and no for-sale condos or co-ops were advertised as smoke-free. But by 2013, 1,488 rentals, 100 condos and 66 co-ops were listed in smoke-free buildings. This year, Equity Residential’s 490-unit building, the tallest in Brooklyn, went smoke-free. The Coalition works closely with tenants, landlords, and building managers to increase the adoption of voluntary smoke-free housing policies throughout New York City. We provide technical assistance, educate residents about the danger of secondhand smoke, and help landlords and building managers tailor smoke-free policies to meet their needs. To gauge the success of adopting these policies, we surveyed 25 landlords, with whom we have worked, who adopted voluntary smoke-free housing policies in their buildings in the past several years. These landlords own or manage 78 buildings in the 5 boroughs, containing a total of 5,407 units, over half of which (54.3%) are government subsidized. The survey results indicate that, within these buildings, smoke-free policies are accepted and even seen as beneficial by tenants. More than three-quarters (76%) of the landlords surveyed said that they rarely or never receive complaints from tenants about the buildings’ smoke-free policies, and 37.5% said that they receive positive feedback from tenants a few times a month. Living in a smoke-free building protects you from the health risks associated with secondhand smoke exposure. In a multi-unit building, if one person smokes, the whole building smokes: secondhand smoke permeates walls and crevices and poses a significant health threat. There is no safe level of exposure to secondhand smoke, and children are particularly vulnerable. In addition to the health benefits, smoke-free buildings are also more cost-effective and safer—they cost less to maintain and reduce the risk of fire. 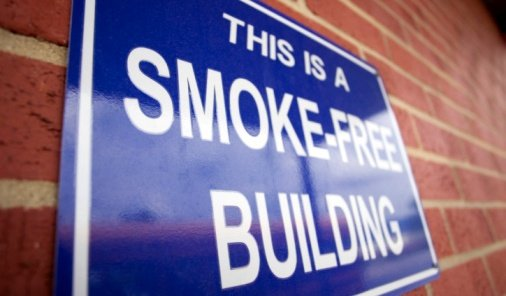 We encourage more landlords and building owners to go smoke-free. This entry was posted in Smoke-Free Housing and tagged DNAinfo, Equity Residential, smoke-free housing by nycsmokefree. Bookmark the permalink.